In the foreground right, the Émile Rioux store. Grocer Louis-Philippe Sirois acquired it in 1917 and gave it to his son Marcel in 1948. In 1917, Louis-Philippe Sirois jumped on the opportunity to buy Émile Rioux’s store. He was already an experienced salesman, having worked at a nearby general store owned by his cousin Antonio Sirois. 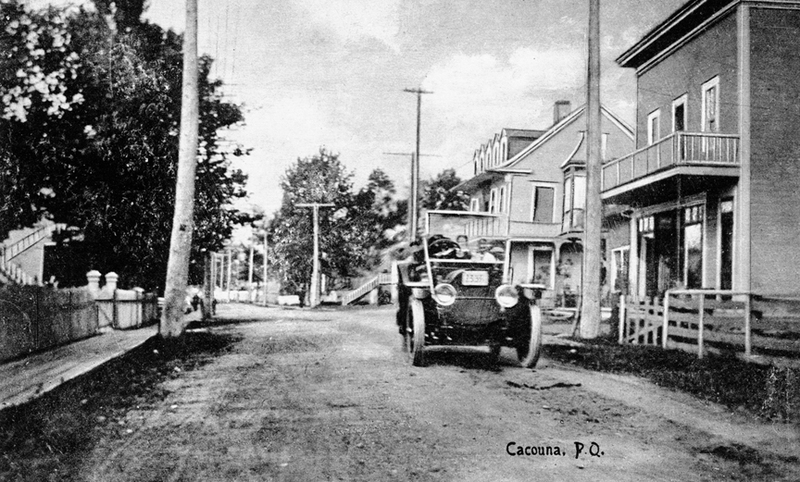 Cacouna’s families shopped Louis-Philippe’s general store for the dry goods and other groceries he stocked in drawers and on shelves. In the late 1940s, a cold room was installed near the back of the store, along with a butcher’s counter where customers could procure a variety of meats. Louis-Philippe’s son Marcel Sirois travelled the surrounding countryside to buy animals from farmers. Beef cattle shipped by train from western Canada were unloaded at the Cacouna station. Louis-Philippe Sirois and his son Marcel extended their enterprise by offering a service of undertakers. 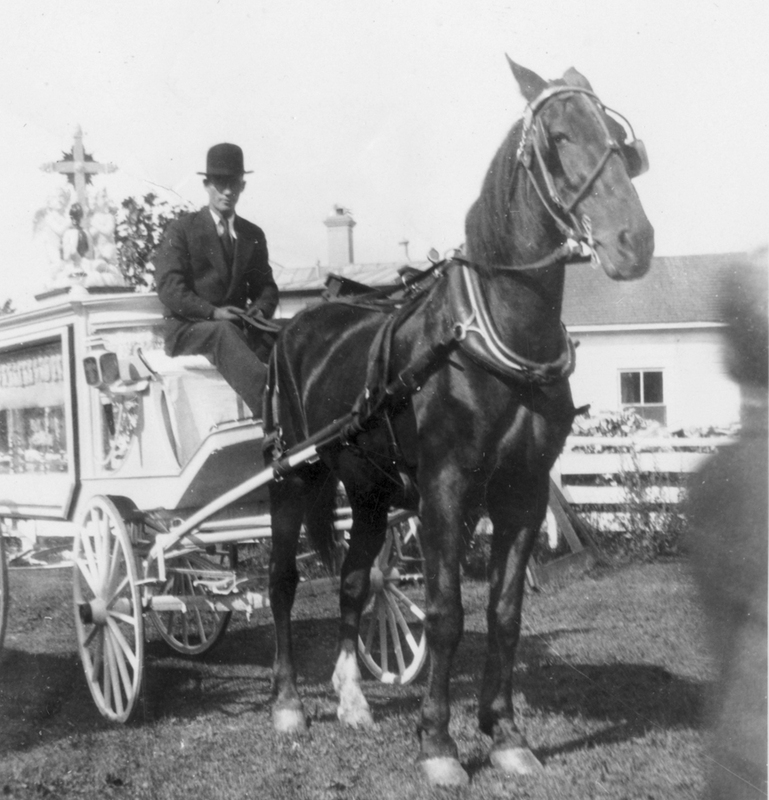 When Marcel began helping out more in the store in the 1930s, Louis-Philippe Sirois opened a mortuary business. In 1948, Marcel took over the family business, L.P. Sirois et Fils enrg., including both the grocery store and the funeral home. A seamstress in the workshop of Marcel Sirois. Marcel Sirois had also been interested in making school bags for several years, and eventually set up a workshop in the store’s warehouse. 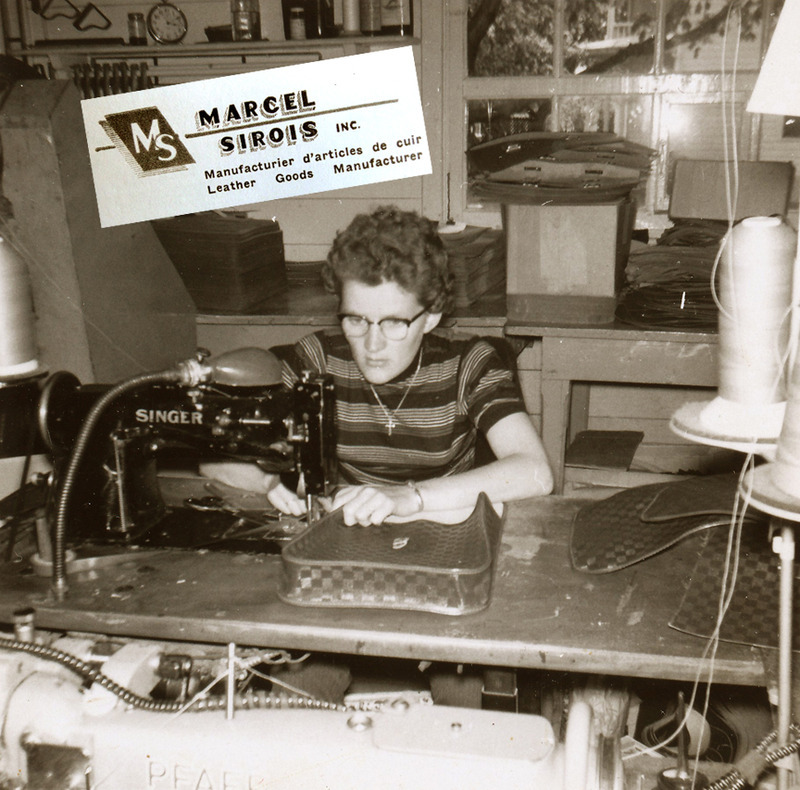 His leather shop, Marcel Sirois inc., employed some fifteen people in the early 1950s.